what's cooking in my tuscan kitchen: Tortelloni with fresh tomatoes and Parmesan -Another great summer time pasta salad! 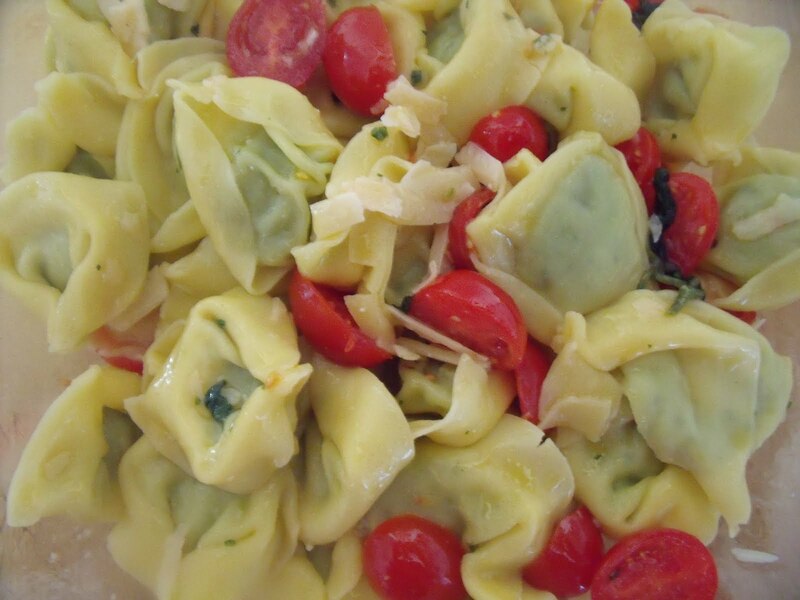 Tortelloni with fresh tomatoes and Parmesan -Another great summer time pasta salad! 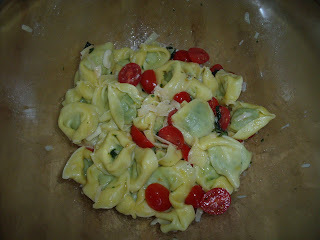 Today time was short as usual, but I have been amiss in my food blogging so I looked in the fridge and found the Tortelloni, then I ran across the street to my local "Pizzicheria" and bought the fresh tomatoes and I put together this quick, delicious recipe that can be eaten hot as a main dish, or at room temperature as a delicious side dish salad. It's the perfect picnic recipe - no mayonnaise! And it is low in fat and calories! a bunch of small, sweet tomatoes - any variety will do! 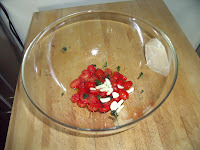 Wash and cut the tomatoes into bite size pieces. Clean 1 garlic clove and cut into large pieces. 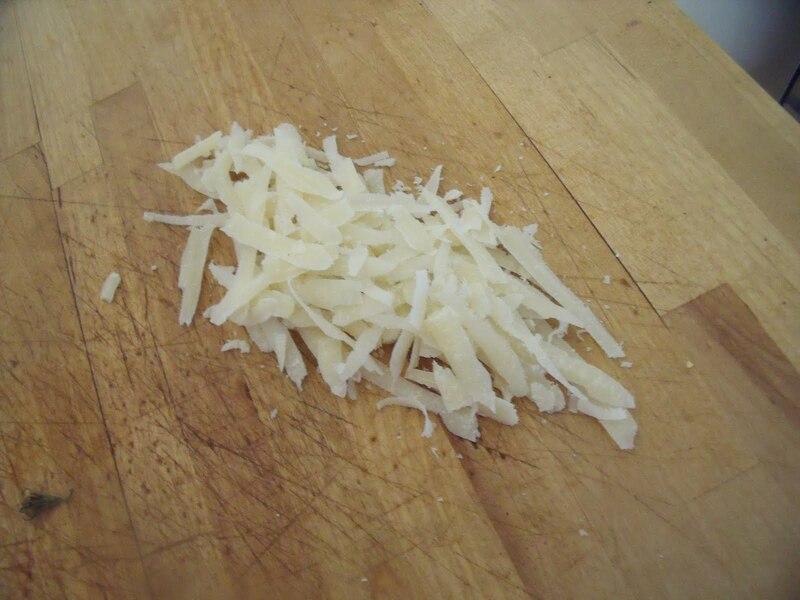 Coarsely grate the parmesan. Add the pasta and the Parmesan to the tomatoes. Add basil, salt and pepper to taste. 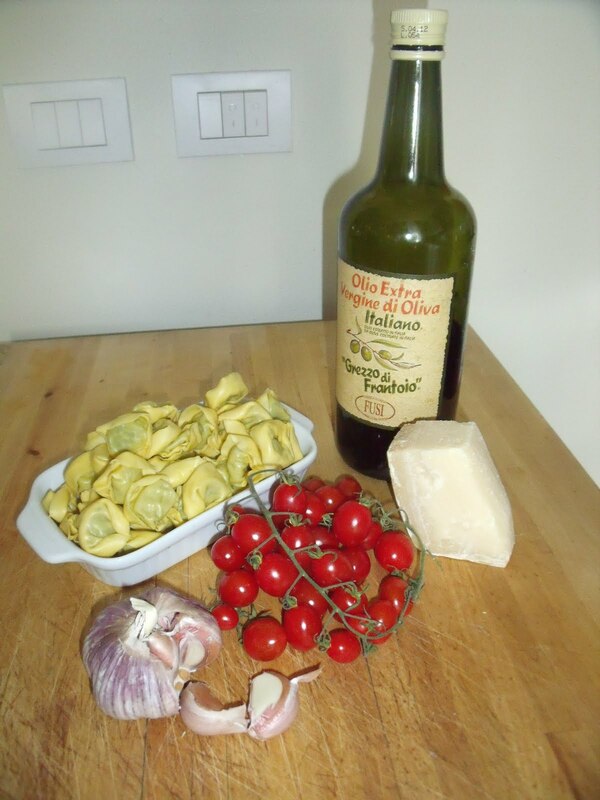 Add about 3 to 4 tablespoons of extra virgin olive oil. 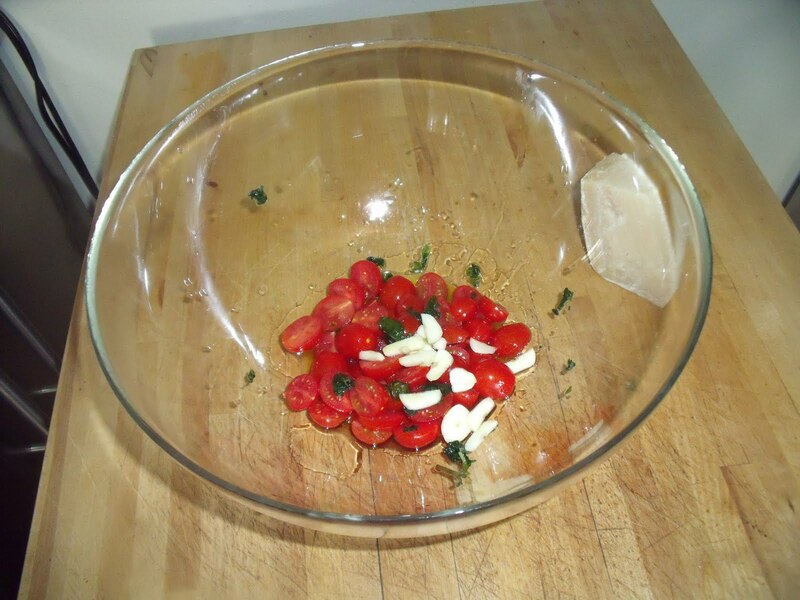 Toss lightly to mix. 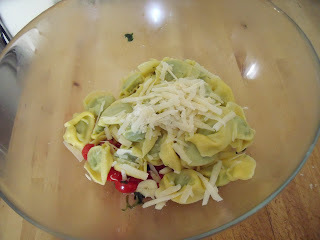 Serve hot as a main dish, or cool to room temperature and serve as a delicious alternative to macaroni or potato salad! 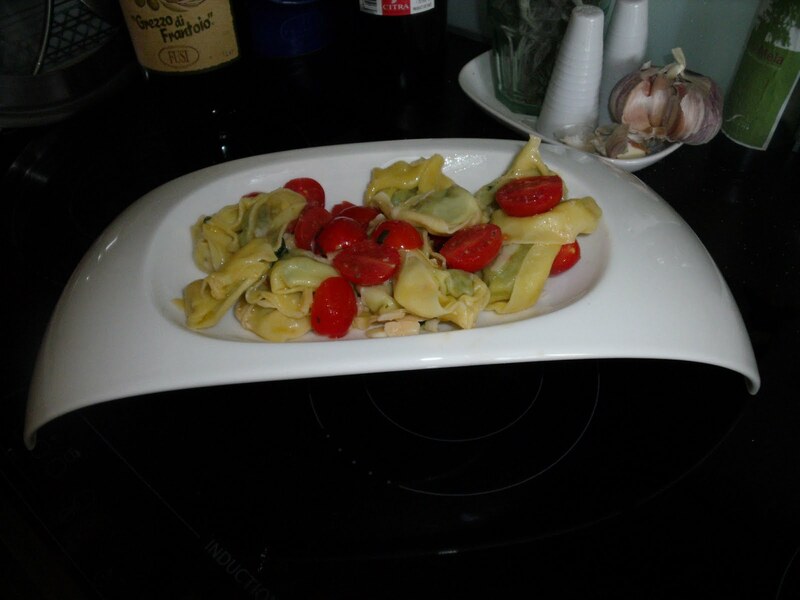 Look Delicious, will try very soon, there's those terrific dishes again !